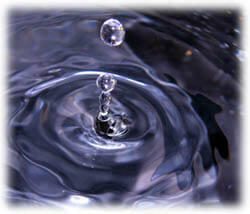 Water is abundant, essential and useful. In your pressure washing business, water is the key ingredient, but each time you complete a job, you have created fresh water’s ugly counterpart: wastewater. It would be impossible to pressure wash without creating it, but the real issue remains: How do you perform a wastewater disposal? Local, state and federal agencies monitor the conditions of wastewater to endure the public’s safety. Most levy large fines are given to violators of clean water standards; an important factor to know when you need to comply with wastewater disposal laws. It is good business practice to have a wastewater disposal recovery plan in place and to adhere to any and all regulations. In these days of drought and focus on pollutants, doing your due diligence in this area will serve you well in the future. The Environmental Protection Agency (EPA) holds the right to enforce the Clean Water Act (officially named the Federal Water Pollution Control Act Amendment) which was passed in 1972. This legislation set the standard for eliminating sewage and industrial waste into groundwater supplies. Your state EPA office (which can be found at the EPA website: www.cfpub.epa.gov) will be your first source for information on treating and conducting wastewater disposal before it enters the public water system or is absorbed into groundwater supplies. Some of the most common water pollutants are flakes of metal and paint, acids, bacteria, and grease. These can also become waterborne during pressure washing or industrial cleaning. You can meet the goal of the Clean Water Act by using pressure, carbon or clay filters, combined with the addition of ozone to coagulate or solidify pollutants and thus filter them before they reach the groundwater. Chlorine and UV light can be used to disinfect and continuous loop systems can be used to cleanse the water before it is re-circulated. In this new age of environmental consciousness, many companies are thinking ahead and building with wastewater disposal concerns already in mind. They are collecting rainwater to use for watering landscaping, or recycling grey water (water that has been used but not contaminated) for further internal use. Bio-remediation systems can be used to clean water for re-use or for release into municipal systems. Until that becomes the norm, you should consider providing wastewater removal, wastewater removal, and treatment services to your pressure washing clients. By adding this service to your business, you will help your customers, especially your industrial customers; comply with strict local, state and federal codes that are put into place in order to keep groundwater safe for re-use and consumption. People are beginning to understand the impact that industry and chemicals are having on our environment and when the water supply is in jeopardy or there is a water shortage, large companies and small businesses will need to be ready to handle the wastewater disposal more efficiently. By working in tandem with your customers and according to the guidelines set forth by the Clean Water Act, you will not only have a positive impact on the quality of water in your area and improve your business.